Manchester United stumbled at a crucial time in the race for the top four as well-drilled West Brom became the latest side to hold Jose Mourinho side to an Old Trafford draw. No team can match United's unbeaten Premier League run stretching all the way back to October, nor can any other side rival their unerring knack at dominating games only to draw. West Brom were the eighth side to leave Old Trafford with a share of the spoils this season, securing a 0-0 draw against a United side that once more failed to eke out victory. Hull, Stoke and Burnley are among the others to have frustrated Mourinho's men on home soil, leaving them scrapping for a top-four finish rather than the title. The Europa League may offer United their best chance of a Champions League return at this rate, with West Brom sitting deep and standing firm to thwart the dominant hosts. The absence of Zlatan Ibrahimovic, Paul Pogba, Juan Mata and Ander Herrera no doubt impacted things on an afternoon when a drab first period made way for a desperate second. Darren Fletcher hit the bar late on after a hopeful drive slipped through David de Gea's grasp, but it was Ben Foster, another former United player, who shone brightest as United drew an 11th league match of the season. 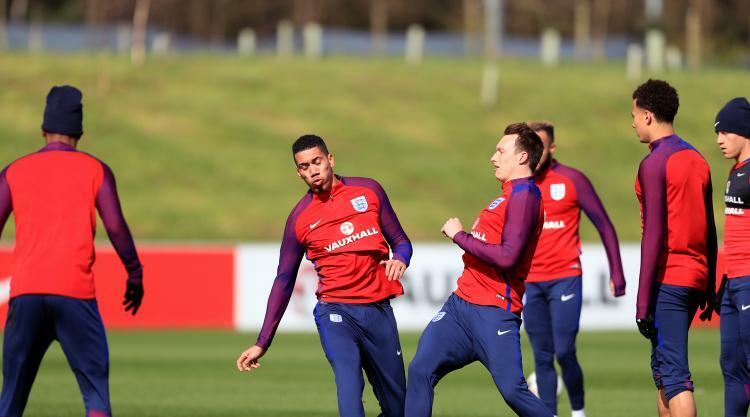 Mourinho will no doubt bemoan a lack of cutting edge and key absentees that saw Matthew Willock named in the squad for the first time - a decision that makes England left-back Luke Shaw omission all the more puzzling. Tony Pulis' men strangled the life out of the toothless hosts in the first half. Neither Jesse Lingard's half volley or a deflected Anthony Martial effort troubled, with Marcus Rashford found wanting positionally from several crosses. The best chance of an uninspiring opening period came on the half-hour mark as Martial leapt at the far post to meet a fine Lingard cross, only to direct his header wide. Boos at the break seemed to be aimed at Mike Dean as much as anything, with the referee confronted as Martial pointed out a lump beneath his eye sustained late in the first half. United returned with a change in mentality if not personnel, piling on the pressure from the outset. Aside from Eric Bailly throwing himself in front of a scuffed Fletcher shot, there was precious little respite for the visitors as Henrikh Mkhitaryan was denied by a last-ditch challenge and Marouane Fellaini missed the follow-up. A drive from Martial skipped wide via a slight deflection off Jake Livermore, while Mkhitaryan chased down a clearance only to see his clipped effort denied by Foster. The former United goalkeeper produced a superb one-handed save to deny Rashford as the pressure increased, with Wayne Rooney's introduced in a bid to sway the fixture. Calls for Allan Nyom to be handed a second booking were waved away before Fletcher's rasping strike crept through De Gea's hands and hit the crossbar. United were on top, though, and they pushed hard for a late winner, with a Rashford free-kick denied wonderfully by man-of-the-match Foster. Claudio Yacob and Fellaini's heads came together as tempers frayed, with the final whistle greeted by boos.